Description: Pineapples are perfect for the patio table on hot summer days! 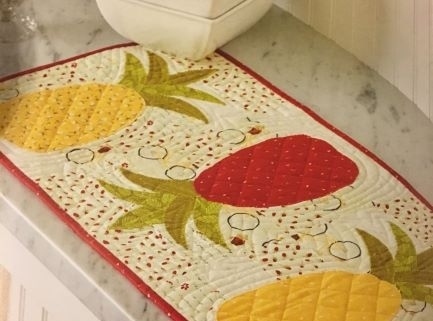 Echo quilted to give dimension, these appliqued pineapples stand out on a background of cream prints! Touches of color in the background fabrics flip-flop from block to block moving your eye along the table runner.